Back strain, sometimes also called a pulled back muscle, is both painful and inconvenient. It can be caused by a number of factors, including a fall, improper lifting, twisting unexpectedly, or repeatedly bending over. If left untreated, it can lead to inability to perform certain movements, which can impact your daily life. Fortunately, in most cases, back strain is fully treatable. A spinal cord injury can be very scary, even if it's relatively minor. Damage to the spinal cord can cause numbness, tingling, loss of sensation, and a range of other symptoms that are quite alarming if you don't know why they are happening. Fortunately, many people make a full recovery from minor spinal cord injuries. Spinal cord injuries can range from relatively minor conditions such as whiplash to extreme damage that causes full or partial paralysis. For the acute injuries that can be treated, you want to recover as quickly as possible to regain range of motion, eliminate pain, and return to normal daily activity. When an athlete experiences back strain, sometimes also called a pulled back muscle, a team of medical professionals and trainers act quickly to get them back in the game as soon as possible. Whether you are a weekend warrior, an amateur athlete, or just happened to twist the wrong way while doing a household chore, you can benefit from the same tips and tricks the pros use, even if your back strain is not a result of athletic injury. Heat or Cold: Which is Best for Back Strain Treatment? Back strain is a common injury among adults. It often happens from incorrectly lifting a heavy object, twisting suddenly during athletic activity, or keeping your neck or back in one position for too long. There are several approaches to back strain treatment ranging from heat or cold therapy, to pain medication, and to surgery in extreme cases. Back surgery recovery comes with many challenges, both mental and physical. However, if you are prepared with the right tools and resources, you can make your recovery faster and more comfortable. Before surgery, talk to your doctor about your recovery plan and make sure you have all the medication, physical therapy tools, and other necessary items ready in advance. You may also need a little assistance while you recover, so make sure you have family or friends who are ready to help as needed. 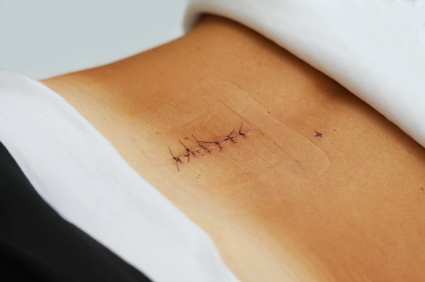 These simple steps can make the back surgery recovery process go much more smoothly. Manage pain with medication - A certain amount of pain is inevitable with any type of surgery. Talk to your physician about how they intend to help you manage pain and what types of medications you can expect to be taking. They might prescribe narcotics, NSAIDs, or other pain management medications immediately following the surgery. The medications you should take will depend on the type of surgery you have, so be sure to ask your doctor before taking any over-the-counter medications. Get plenty of sleep - The more you can rest comfortably, the faster your body will heal. Ask your physician or physical therapist what sleeping positions they recommend to help reduce strain on your back. Participate in your rehabilitation - Although it is important to rest, it is equally important to be active throughout the rehabilitation process. Your physical therapist might recommend gentle stretches or certain movements to help increase circulation and regain muscle strength. Every patient is different, so make sure you work closely with a healthcare professional to develop your rehabilitation plan. Use active compression and cold therapy to reduce pain - Compression and cold therapy have been used for centuries to help speed up the healing process for injuries of all types. This can be a little more challenging with back surgery recovery because of the nature and location of the injury. However, using a specially designed cryotherapy wrap that circulates cold water and air will provide simultaneous cold therapy and active compression. Cold therapy can be used immediately after surgery and on an ongoing basis after activities that might induce swelling. 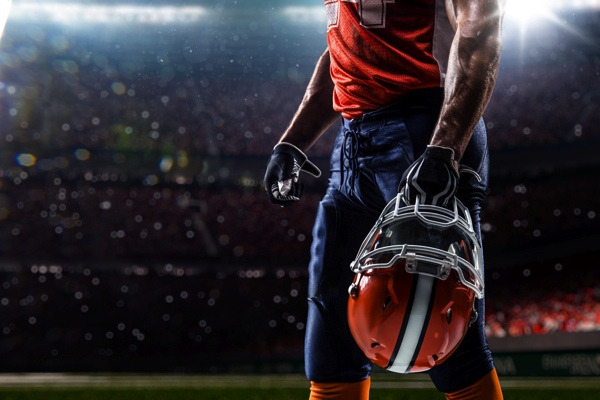 If you are facing back recovery surgery, talk to your doctor or physical therapist about Game Ready's patented dual-action Active Temperature Exchange back wraps. The combination of active compression and cold therapy is proven to provide longer-lasting, deeper cooling to help reduce swelling and speed up the healing process. The results speak for themselves. More than 94% of patients who used Game Ready said that their post-operative recovery was better than with other types of cold therapy. Want to learn more? Contact us today to speak with a representative. What steps have you taken to help improve back surgery recovery?